Welcome to CBL Stoves website, we supply and fit both traditional and contemporary Stoves, Wood Burners, Gas & Electric Fires throughout Cornwall & Devon. Visit our Showroom located in between Holsworthy and Bude. The work that we carry out includes installing Chimney Flues & linings, rebuilding of chimney stacks & fireplaces, installing Stoves and Wood-burners, laying slate hearths, oak beams. 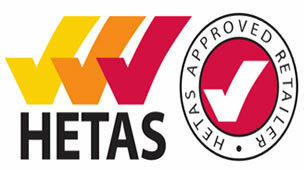 We are an official 'Hetas Approved' Retailer and Installer. The owner Carl will help you get the stove that is right for you, he will take you through all the options to find the right stove or fireplace for your requirements, then show you the range of Stoves both traditional and contemporary. Carl recommends a home visit so he can tailor make the type of stove for your room, from building a fireplace, mantle piece to fitting flues and chimney linings or building and repairing chimneys. Carl's experienced team will come and fit your stove complete with a safety certificate, which is now a requirement for insurance. CBL are an approved company by the official body recognised by Government to fit and supply solid fuel domestic heating appliances, fuels and services. We are registered and are competent installers, servicing and retailer business and are fully insured. Or visit the showroom, Unit 5, Red Post, Bude, Cornwall EX23 9NW. This weeks Special Offers. 1) Dimplex Danville Opti-myst electric fire, comes with 3 different fuel beds RRP£550, Unbelievable value @ £199.00😮.